The mission of JPG’s is to share, improve, learn and explore current photography techniques for enhancing members' photography skills. This group includes all skill levels. Our group’s original name was View Finders and was changed in August 2013. Our group name was changed to JPG’s in March of 2018. Our group began in 2009. We meet monthly, the second Tuesday at 9:30, at members’ homes, unless otherwise noted. No meeting in December. Idea: Field trips when it's warmer, i.e., Rio Rancho Badlands. 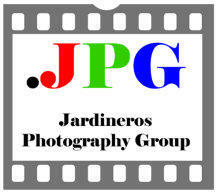 Members may email all Photography Group members on short notice for this type outing.